It’s tough living on the streets. Fights, halucinations, finding somewhere safe to sleep. Can you find and get the TV to enter the bar? You’ll need to be pretty street-smart to do it. Copy the materials folder into your …\Steam\SteamApps\common\Half-Life 2\hl2\ folder. 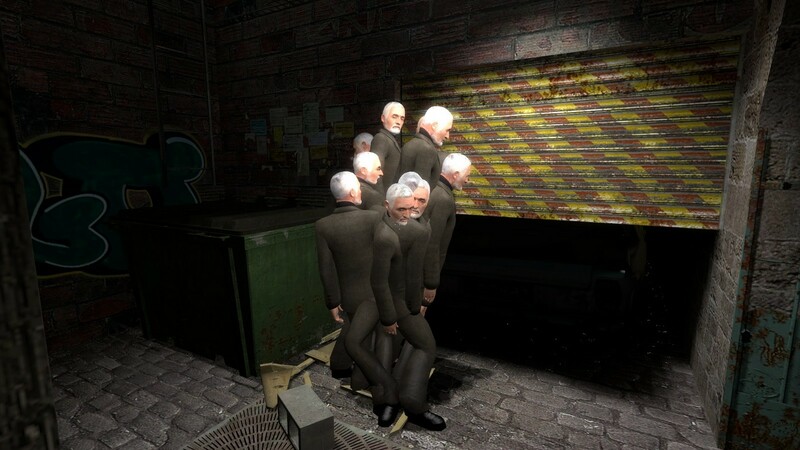 Copy the models folder into your …\Steam\SteamApps\common\Half-Life 2\hl2\ folder. Open the console and type map hobo and press ENTER. Okay, I’m stuck. I couldn’t play more than 10 minutes but I tried twice. I have the two bricks but I don’t know what to do with them. I tried putting them in the CASH slot but that didn’t work and I even tried stacking them and trying to jump onto the roof of the brick building, but that didn’t work either. So basicaly, I don’t know what to do now. Then you can take the large vodka bottle to…. Sorry for crashes and stuff. Glitchy ragdolls and junk going around is supposed to be there. Probably crashes occurs only on bad PC’s (Ragdoll is causing this). I was really surprised to see my map here. Well,, I can get through the door. I don’ty know, I haven’t got that far. Can you post a solution in a spoiler tag? OK, I’m stuck. What am I supposed to do in the 2nd map? I only see the guy that needs vodka, the “Poor Lazlow!” guy and the guy that wants the TV. What do I do? The only real ‘puzzle’ in the mod can be solved by blindly wandering around and bringing object to person and so on. I also experienced a few crashes when entering the bar and getting my head blown off by a bartender with a shotgun. 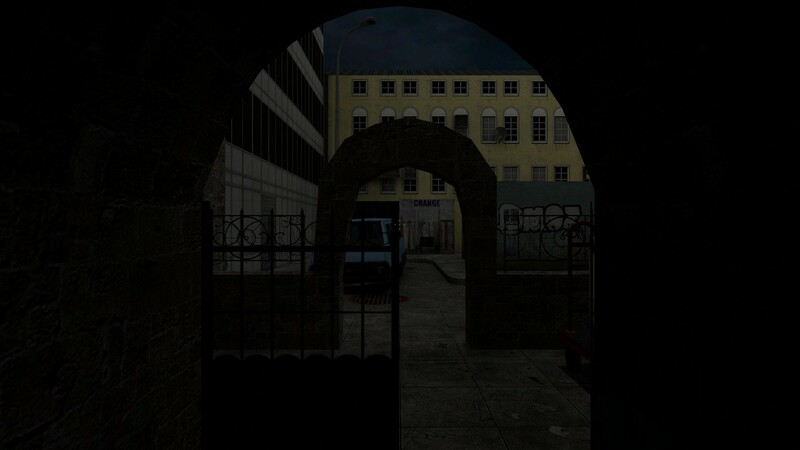 Not to mention the abnormally dark streets made it difficult to locate and details, if there were any that is. The psychedelic however, was my favorite bit, haven’t seen raining skulls and reversed HL2 music in a mod until now! Not much else to say, short, confusing, but in its own way, unsettling and strange. What did I just play? I am so confused right now. So this guy wants a TV to open a gate, but the tv is guarded by Grigori, who you can’t get to unless you have a crowbar, and the crowbar you take from the guy who needs vodka who burns to death, which you must get from the bar on the other side of the wall, which is guarded by a guy with a pipe, whom you kill by throwing a brick at him. And then there are skulls falling from the sky, and a item chest full of Dr. Breens. Can someone please explain what just happened? Video to follow because I thought it would make some funny content for my YouTube channel, although it’s more along the lines of me dying over and over again because I want to see what will happen in certain situations. I got purple textures and it crashes on me near the girl with the shotgun every time. So I gave it up, no recommendation. That’s strange. You did put it in the Half-Life folders, didn’t you? Yeah, i checked the files, they were all in the right place. Maybe try installing it using MapTap? Well…. I know I didn’t get through the whole thing. The map crashed at least 4 times at different spots, just when I thought I was going to be able to get somewhere. 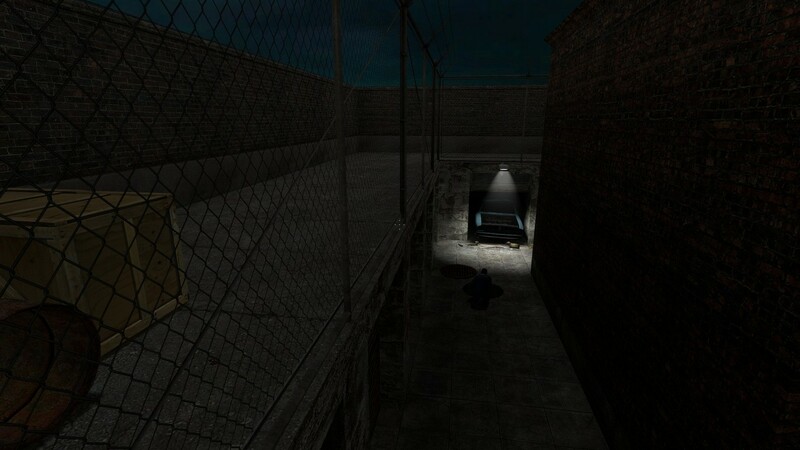 Too dark: played with fullbright just to be able to make my way around properly. No idea what props were available to lift or move, and what wasn’t – many things you should just be able to pick up were part of the map. I suppose that without the buggy crashing, it would be a touch more playable just to wander around and see what affects who. Completely unsure what the rain of skulls and pile of Breen was about, nor did I ever see what happened to the girl sitting near the entrance. Was that little map hobo 1 and the rest 2? Could you transition between them freely or what? It seemed like it was absolutely random when I moved. I’m going to keep trying to ‘finish’ this, just because I think the bugs are *just* bugs, but it really needs to be fixed and cleaned up a lot to be *actually* playable. Yep, like most reviewers stated above, this is not worth playing at all. The story is just not there, the mapping makes no sense and it’s just not fun. Even though this comes with 2 maps, the 1st one is useless. It’s just a supply crate with Breens (WTF?) and some really stupid scripted events. Oh, and even though this is categorized as a “puzzle” map, the only “puzzles” here are just taking things and getting stuff to people. That’s it. Apart from that though, the map didn’t crash one time, which I find weird since a lot of reviewers claim that it crashes a lot. Weird. Overall, just stay away from this map. There is no point in downloading it. It’s not fun, not clever, and most importantly, not fun. OK, so I was really bored, so I decided to make a walkthrough of this map for those who want to beat it. There is nothing to do in this map. Just wait a minute or so and you will be automatically transported to the next map. This is the main part of this mappack (if you wanna call it that). You will see a closed gate in front of you and when you get near it, you’re told to bring a TV. 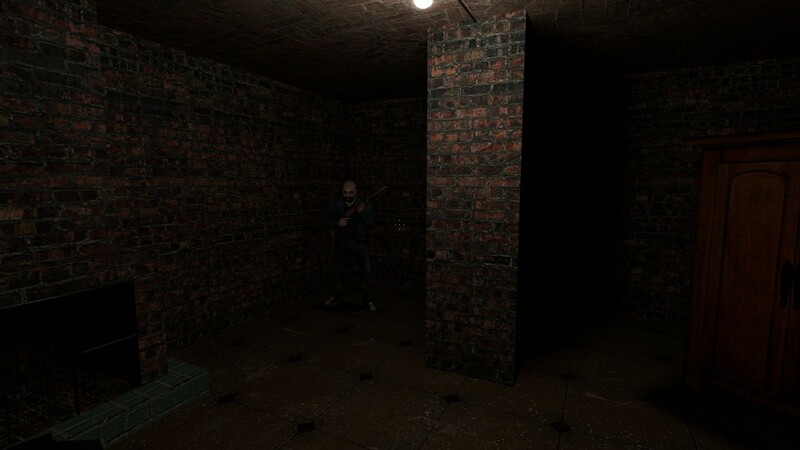 To the right is a bald guy with a pipe who attacks you if you go near him. 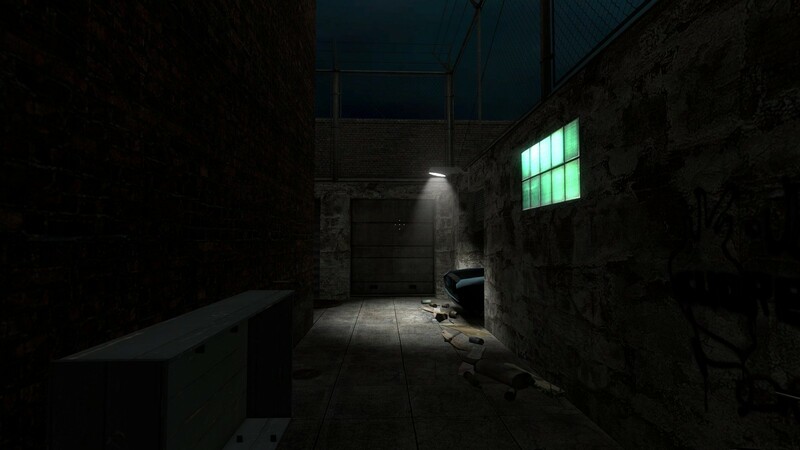 If you explore the map more, you’ll find a guy that needs vodka and a guy crying for a a Lazlow. Go back to the guy with the pipe. Watch picture 5. Near the guy there is a way to climb to the top of the building. There, you will find a brick. Take the brick and throw it to the guy holding a pipe. Next, get to the club. There is a woman with a shotgun that wants to kill you. I recommend crouching. Take the biggest bottle (which is supposedly the vodka) and take it to the guy that wants the vodka. He will burn to death and he will drop the crowbar. Take it and go to the apartment where Father Gregori can be found. Break the door with the crowbar. Be careful! Father Gregori can kill you qutie easily. Take the TV (which is behind him) and go to the gate. P.S. I only wrote this walkthrough because people were confused. I don’t like this mappack at all. Thnaks for that, I’ll try it later today. I think that this is a mildly interesting, very brief play, maybe. The first map was somewhat interesting, with some neat “choreography;” however, I think it was decently unnecessary, and mislead me into thinking that I was actually supposed to be doing something aside from waiting. The reversed music was pretty neat, I think it’d be great for a similarly strange map, if it had a somewhat more serious tone. Visually, I think that the second map was well-detailed and visually appealing, but nothing special. It didn’t last long, but exploring the small area was decently entertaining. I thought that the “puzzles” were easy enough to figure out; the brick was the only movable object on the map and was found on the roof, but I think it should’ve been made to stand out more as a key item. I think that the lack of ability to do anything about any gun-wielding enemies (aside from going in and out fast enough to avoid being shot completely dead) was a poor choice. 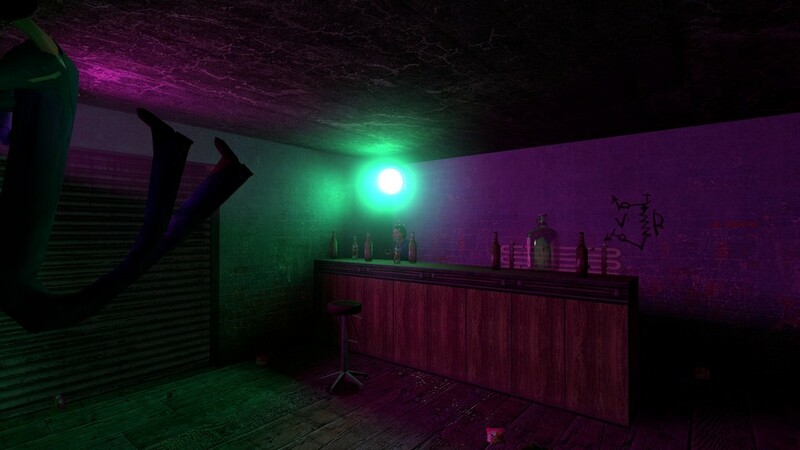 As for bugs; I don’t know if it was intentional or not, but inside of the bar, there’s a horribly contorted ragdoll and a bunch of garbage spinning and sliding around on the floor. Also, I had a lot of difficulty getting the TV into the slot. There are pieces of these two maps I would love to see in a (slightly!) more serious mod/map with a longer playtime and more interesting things to do; keep working. OFF-Topic… How are you Phil, what did the doctor say to your pain-problems? I hope it isn’t so bad, so that you can get healthy complete! I would like to know too. I am one of the users that has problems sometimes posting on the blog pages, and the announcement for medical info was one of them (where I try to post, but it simply never does, no matter what). So I want to both wish well, and find out whether anything went on. Yeh it just keeps crashing at random and semi-random points. When I have managed to get into the room with the girl and the shotty, whenever she shoots, some ragdoll goes nuts in the middle of the room and the game just dies. Fix the map up and find why it’s crashing like this/doing these weird things, and I’ll most certainly try again. Very rough and it crashed on me a couple of times. I don’t think it is worth playing. This is the 5th map on the list. Trippy map thats difficult to describe. Simply put, a casual puzzle map. The biggest problem is when the message about ‘letting you pass only with a TV’ shows up, everyone assumed it was referring to the guy with teh pipe. Actually it isn’t him, its the vending machine near the gate that tells you this. So it gets confusing when people try to find a TV and asssume that the dude with the pipe is the person who wants it. Other than that, the puzzle should be fairly simple. The first map looked scary but it just triggers the second map. Then the little puzzle is just quite annoying because you can’t defend yourself at all. I really don’t know why this feels like an “artsy” mod or if it intention was to be like an art, social-message mod. 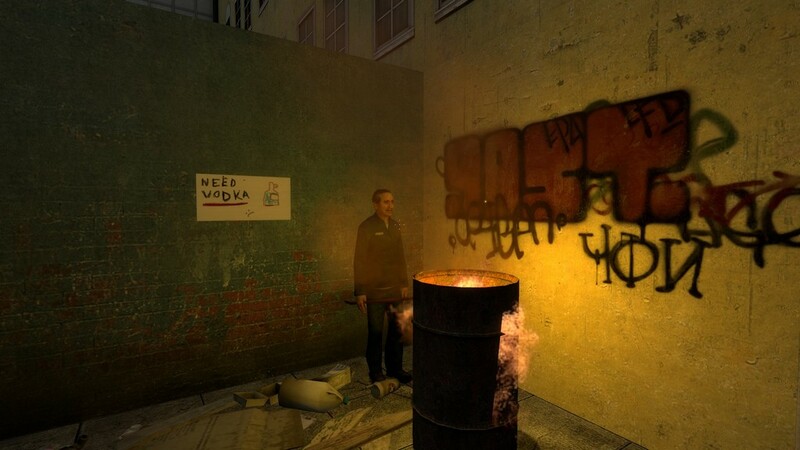 Humorous take on hobo’s life in the Half-Life universe. 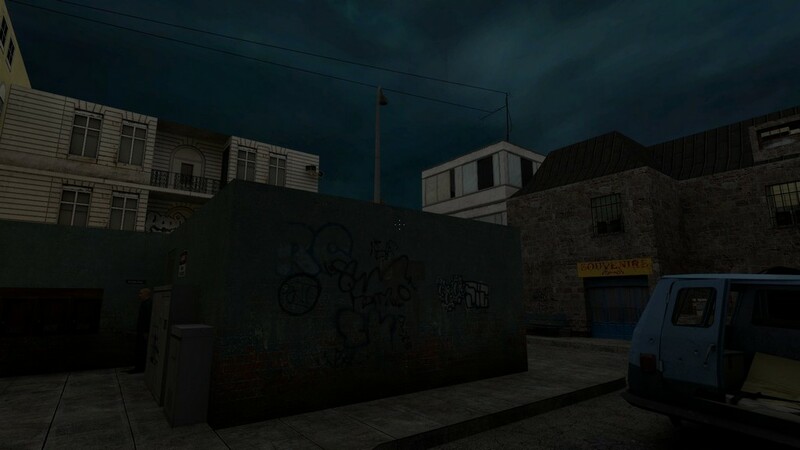 Don’t expect much fun though – there isn’t that many things to do in this map-pack. 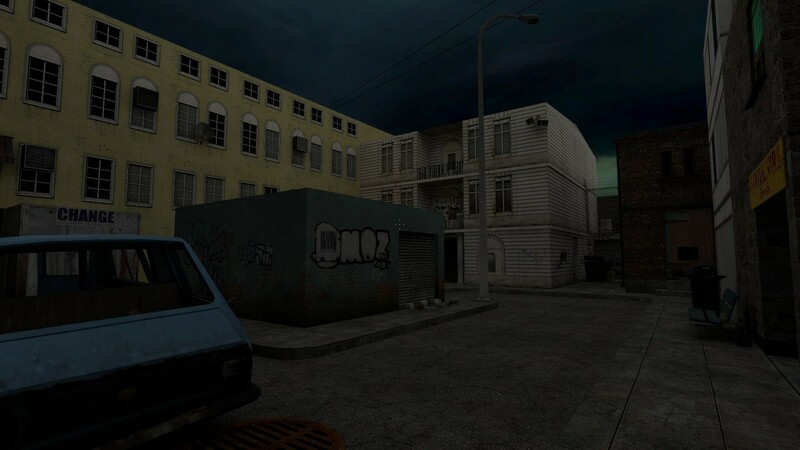 The first map is a short “walking simulator” or more of a interactive scenery – you walk around, do this and that, and then the map suddenly ends. The second map is this pack’s biggest problem. I think the author tried to experiment with puzzles but this is the exact part where the map fails. Each puzzle doesn’t make you actually think of the way to solve it but rather makes you run around, look for things and click everything you can. 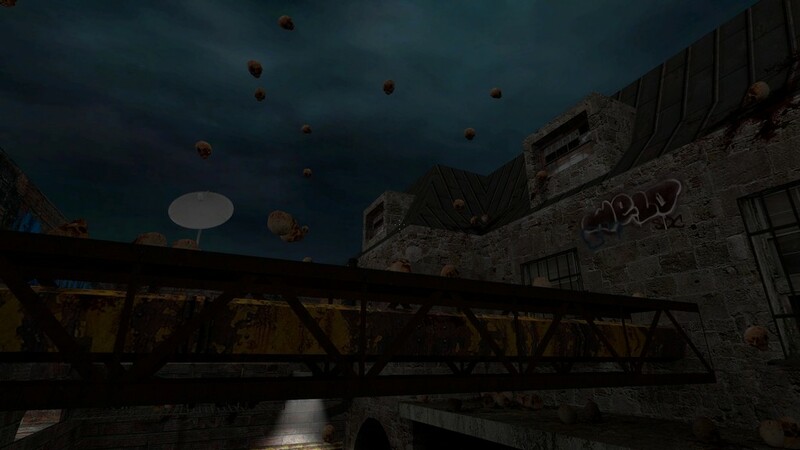 You can only complete this map if you have enough patience or special fifth “Half-Life map-player” sense that tells you what to do and where to go. Well, at least this is something different from the others. The puzzles are too easy and sometimes are really annoying and not that “self explaining”, specially in the second map. 4/10 becouse the author tried to do something cool.